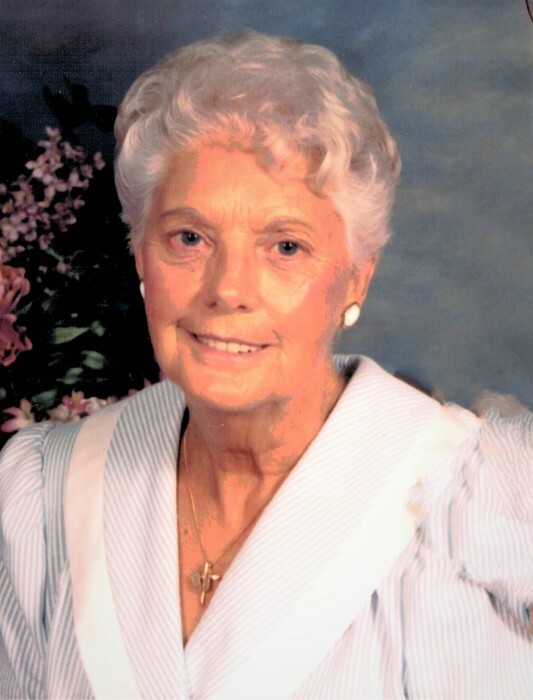 Margueritte "Marge" Jane Carriveau, 90, of La Porte, passed away on Tuesday, August 28, 2018 at St. Mary's Medical Center in Hobart. Marge was born in Griffith, IN, on April 7, 1928 to Robert David and Cora (McCabe) Burris. On August 20, 1948 at City Church in Gary, IN, she married Richard David Carriveau, Sr. who preceded her in death in 2014. Surviving are her beloved children, Marcie Shaul of Indianapolis, Gail (Joe) Prather of Jeffersonville, Debbie Carriveau of La Porte, and Pam Morrow of New Castle; daughter-in-law, Dawn (Les) Craft; 12 grandchildren; 15 great-grandchildren; as well as numerous nieces and nephews. She was preceded in death by her parents; husband; son, Richard "Rick" Carriveau, Jr.; and 5 sisters, Elizabeth Brown, Roberta Alexander, Frances Burris, Leona Turner, and Lillian Blankenship; and brother, John Burris. Marge was formerly a member of Countryside Christian Church where she served on the Kitchen Task Force. She was currently a member of State Street Community Church. Marge enjoyed cooking and scrap booking. A Celebration of Life Service will be held at 11 am (CT) on Saturday, September 1, 2018 at Cutler Funeral Home and Cremation Center with Pastor Rick Jones officiating. A time of visitation will be held from 4 - 8 pm (CT) on Friday, August 31, 2018 and from 10 am (CT) until the time of the service on Saturday at the funeral home. Interment will take place at Pinhook Cemetery at a later time. Memorial contributions may be directed to State Street Community Outreach, 209 State Street, La Porte, IN 46350.